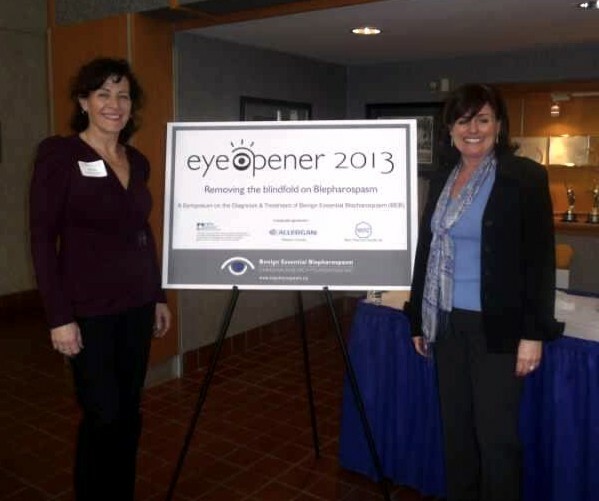 On April 27th, 2013, BEBCRF hosted Eyeopener 2013, the first-ever Canadian symposium on Benign Essential Blepharospasm (BEB). We explored the newest frontiers in treatment, through interactive learning sessions with some of North America's leading experts on BEB. Since lack of awareness has too often led to delayed diagnosis of this disease, the theme of the symposium was to "remove the blindfold" on blepharospasm.